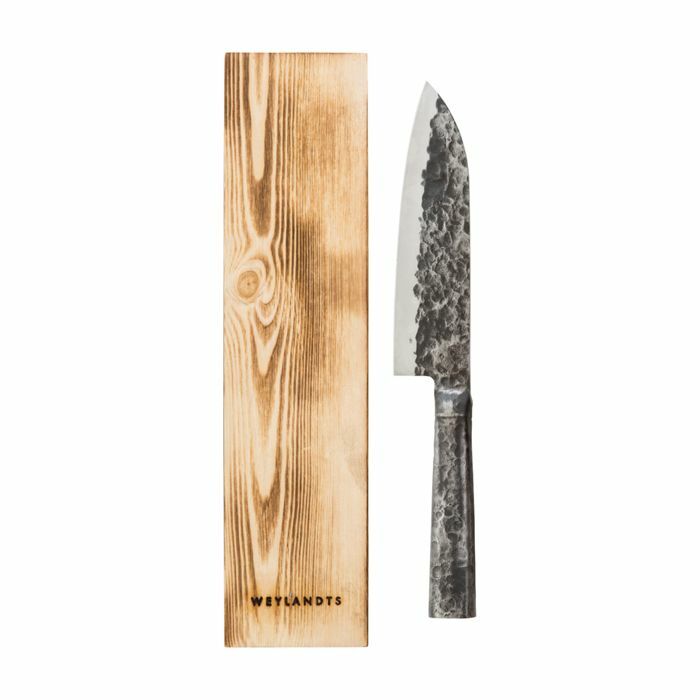 This knife has been hand forged from high carbon stainless steel by master craftsmen using ancient forging techniques passed down by generations of skilled artisans. Hand wash using a mild detergent and soft cloth or sponge. Knives should be cleaned immediately after use. Spots can be removed with a standard metal cleaner. Entertain in style with a marble cheese knife. 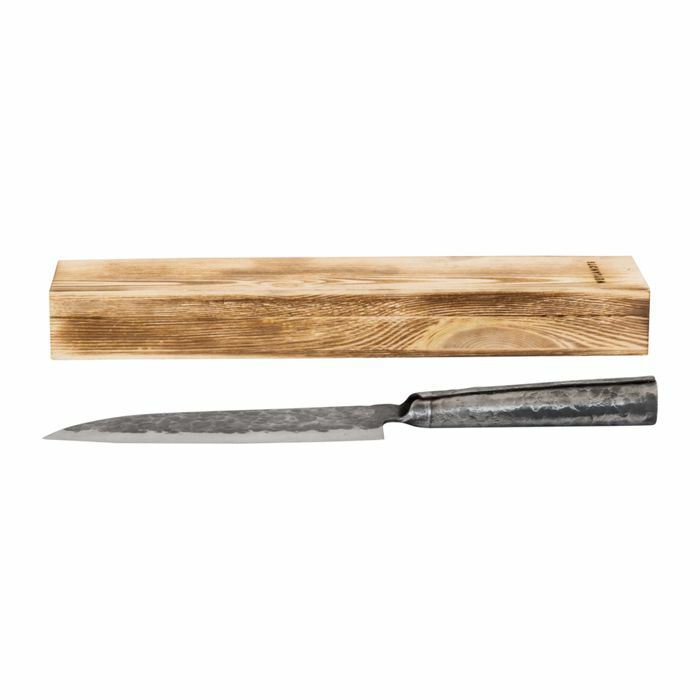 This cutlery set is made of stainless steel with ash wood handles.